Synopsis (from Amazon): As one of America's former leading cardiac surgeons, Dr. Nuño healed patients' hearts. Fixing "broken" hearts gave him a unique and intimate view into the power of the heart. Even coming face to face with death and losing patients, there is a beauty that can exist even in loss. The Spirit of the Heart is a collection of heart-warming stories that resonate at the core of our humanness. He graciously offers the insights he has gained from occupying a front-row seat at some of life's most real and raw moments. These tender stories teach us about what it means to be human, to be connected to others, to love, to live, to forgive. 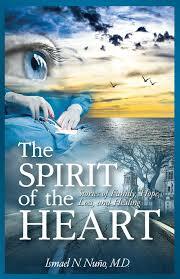 My Review: I really enjoyed The Spirit of the Heart - Stories of Family, Hope, Loss and Healing. It is beautifully written. Dr. Nuño just doesn't talk about The Spirit of the Heart from a doctor's viewpoint, but from the viewpoint of his own losses. It was deeply moving. I also really enjoyed the honesty throughout the book. Dr. Nuño is a very spiritual and caring man. It comes through so loud and clear in his book. Also, the book is written in very short chapters. Each chapter could easily be a column in a newspaper, magazine or blog. They are all individual chapters that stand on their own and deliver a powerful message. I work for a health care system and can't wait to pass this book along to our cardiologist group. Some fun facts: His mother is from Guadalajara Mexico. I had the privilege of visiting Guadalajara on a business trip. A beautiful place with very welcoming people. Dr. Nuño is a consultant to the script writers for Gray's Anatomy (love that show) and House. Too cool, right? I also can't believe all the places he has been and worked. Totally amazing. Meet the Author: Doctor Nuño was born in Mexico in 1950. He received his undergraduate education at UCLA and obtained a BA in Zoology in 1972. He received his MD degree in 1976. Dr. Nuño received his training in General Surgery at UCSD and his training in Cardiothoracic Surgery at Walter Reed Army Medical Center in Washington, D.C. 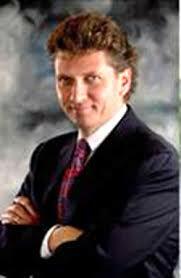 He is certified by both the American Board of Surgery and The American Board of Thoracic Surgery. He is a member of many professional societies like The Society of Thoracic Surgeons, The American College of Cardiology, The Western Thoracic Surgical Association and The American College of Surgeons. Doctor Nuño was in the United States Army for a period of ten years. He served as Chief of Surgery in Heidelberg, Germany and Seoul, South Korea. He was also on the teaching staff of the Uniformed Services University for the Health Sciences in Bethesda, Maryland. His duties included being adjunct surgeon for the White House in 1990. He was Deputy Commander of the 5th MASH Unit during Desert Storm in the Middle East. He left the military with the rank of Lt. Colonel. Doctor Nuño went on to receive further training in Cardiothoracic Surgery at the Texas Heart Institute in Houston, Texas with Dr. Denton Cooley. He then became a member of the teaching staff at UCI before moving to Los Angeles and establishing his private Practice at Huntington Memorial Medical Center. He joined the Keck School of Medicine at USC in 1995. 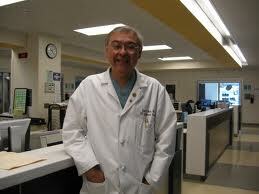 He is was the Chief of Cardiac Surgery at the LAC+USC Medical Center. His hospital appointments included the USC-University Hospital, Huntington Memorial Medical Center and the LAC+USC Medical Center. Dr. Nuño's expertise lies in the surgical treatment of bacterial endocarditis, the treatment of multiple valve defects, coronary artery revascularization, circulatory assist support and surgery for diseases of the aorta. Current activity for Dr. Nuño includes being Medical Advisor for the Alfred Mann Institute of Bioengineering at USC, and also Medical Advisor for the St. Jude Medical Corporation for the Western United States. He was just elected President Elect and subsequently Chief of Staff for the medical association at the LAC+USC Medical Center. He signed a contract to be Medical Advisor for ABC television network for their medical serial programming. Dr. Nuño has a list of published scientific journal articles, book chapters and is very active on the medical speaker's network. He has delivered numerous lectures locally, nationally and internationally. He has a non-fiction book currently in publication. Purchase: You can purchase The Spirit of the Heart - Stories of Family, Hope, Loss and Healing online from Amazon for $24.95 ($7.99 Kindle version). My Review: Green Beans & Ice Cream came a perfect time....positive reinforcements are needed so badly with my team at work. Also my company and industry are going through a tremendous amount of change right now.I learned a lot from this quick read. I think the biggest thing I learned is that one size doesn't fit all. I love cash as a reward for doing job above and beyond, however, most people don't. There was a lot of discussion regarding company logo gifts....we do this all the time and I think I need to share Green Beans & Ice Cream with few others at work. I really don't want to give away all the advice in the book. 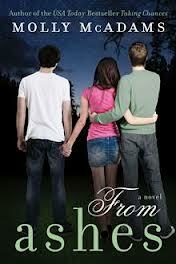 I loved all the examples used in the book. It really helped emphasize the point that was being made. 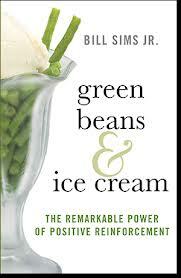 Green Beans & Ice Cream is a very, very quick read. I can't wait to share this book with others at work and get started on making some changes at work! Reinforce the positive and change behavior! This review was made possible by the Cadence Group. All reviews are my opinion.